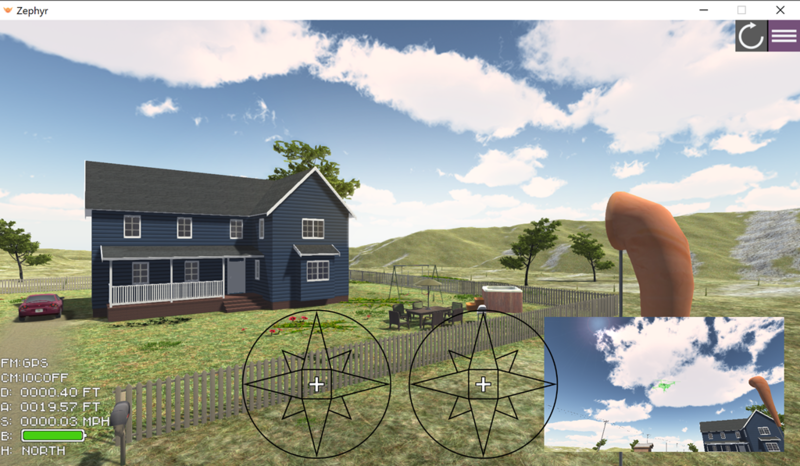 The first key to any simulator is realism. Zephyr comes about as close as possible to really flying my Mavic Pro. The bundled controller can be set up to mimic the Mavic’s RC almost exactly. If you don’t like the default setup you can swap commands around to your heart’s content. Instead of using a smartphone or tablet as the screen, you’ll be using the monitor on your PC. One obvious difference is that touchscreen operations are instead performed using your computer’s keyboard. The controls felt totally familiar to me, and the simulated drone responded essentially the same way my Mavic Pro would. Zephyr supports lots of other drones as well, but I primarily worked with the Mavic Pro simulation since that is the model drone I have the most experience with in real life. The only thing that felt a little weird using the simulator is that as you lift off or otherwise move the drone your “Pilot’s view” automatically moves to keep the drone in sight. I think that is the only way it can work unless there was a VR goggle version, but it is still take a little getting used to. 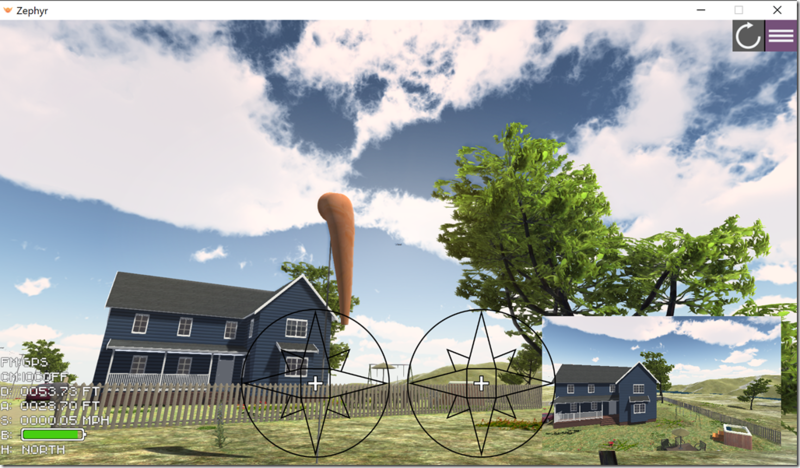 You can set how aggressively Zephyr adds wind to your scenarios, and even have it simulate various weather conditions. In the helpful department, you can toggle a larger outline of your drone on and off, as it can be even harder to see your drone’s orientation on your computer screen than in real life. Similarly you can have it show the state of your sticks in an overlay. In fairness to Zephyr, there are way more options and features than I can fit in this brief review. It is really quite a powerful tool, and I’ve only scratched the surface of what it is capable of. While you can have plenty of fun simply piloting the drone, there are dozens of modules that help you learn all the aspects of drone flying, or simply compete to see how fast you can complete the challenges. 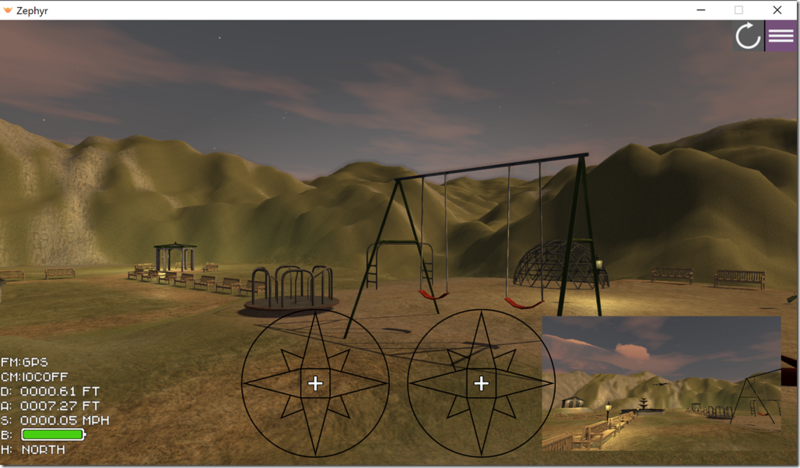 They start as simple as landing in preset target areas and become as complex as timed obstacle courses. For additional reality, Zephyr keeps track of drone regulation violations as well, showing you when you are out of line of sight of the drone (if you fly it behind an obstacle for example). 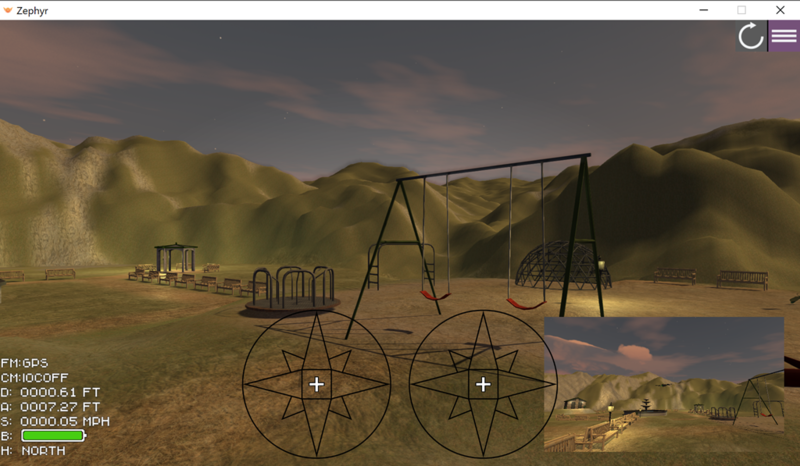 I was using Zephyr as a single individual, but the flight school provides for those who manage groups of drone operators to have them complete specific courses and reports on their progress. I can easily see how valuable that would be for companies that want to make sure their pilots are able to fly competently and safely in accordance with appropriate regulations. 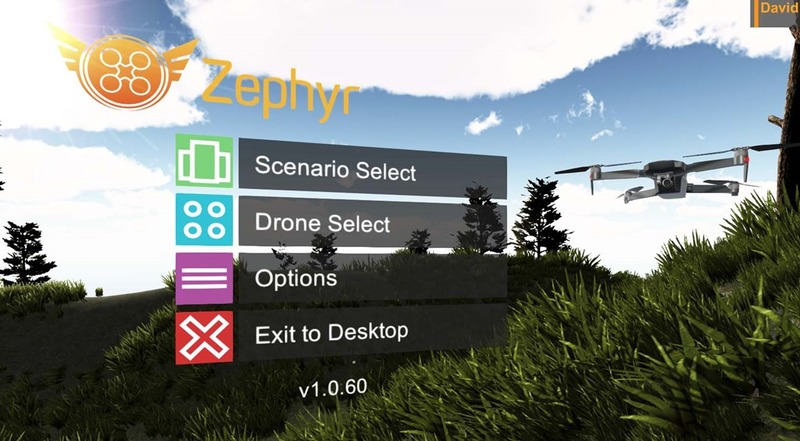 Zephyr is sold by Little Arms Studios for Windows and Mac either by itself as a personal license for $99, or with a compatible controller for between $109 and $139 depending on the controller model that best mimics the drone remote you are using. Anyone managing a team of drone pilots or running a flight school can contact them for Enterprise pricing. To learn more, get a 30-day free trial, or purchase, just head over to the Zephyr site. There are two things I’d love to see the team at Little Arms add to Zephyr. The first is pretty obvious – VR goggle support. I’m not sure the current generation of VR headsets is up to the challenge of providing a great experience, but I think the next one will be. Goggles with head tracking would let you accurately look around and require you to find your drone as you fly it instead of the software automatically centering it in your field of view. The second is trickier – using real world maps. Imagine if you could accurately pre-fly routes in the actual terrain, and even get a sense of what your photos and videos would look like before going to the time and expense of trying it for real. Google Earth data is getting close to being good enough to at least do a simple version of this, but it’ll probably be awhile before all the pieces are put together.